The Swainson’s Lorikeet is the most well known subspecies of Rainbow Lorikeet. They are usually referred to as Rainbow Lorikeets and are also known as Blue Mountain Lorikeets. These colourful parrots live in Australia, from Cape York Peninsula down the east coast and Tasmania. There is an isolated population in Perth, Western Australia that are considered to be pests. Their conservation status is secure. 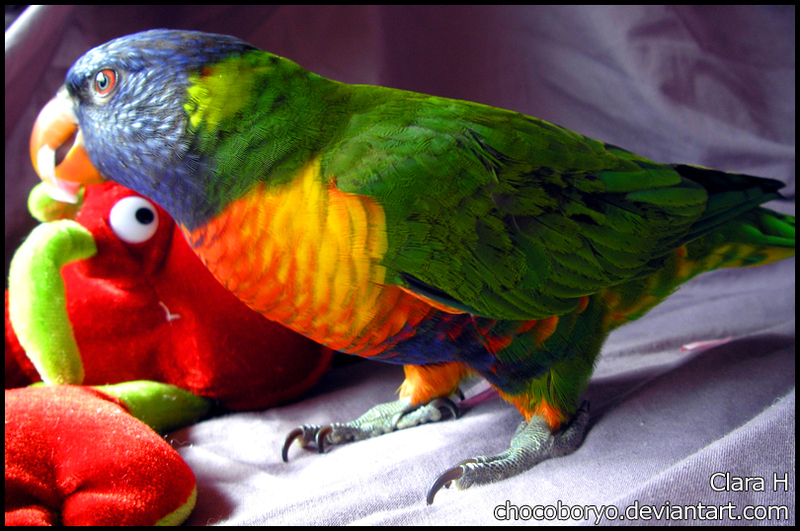 The Rainbow Lorikeet is approximately 30cm (11.8in) in length. They reach sexual maturity at around 1 years of age. This species is monomorphic, meaning both sexes are identical in appearance. The body, including the back and outside of wings is green with a lighter green nape. The head is violet-blue with shaft streaking. 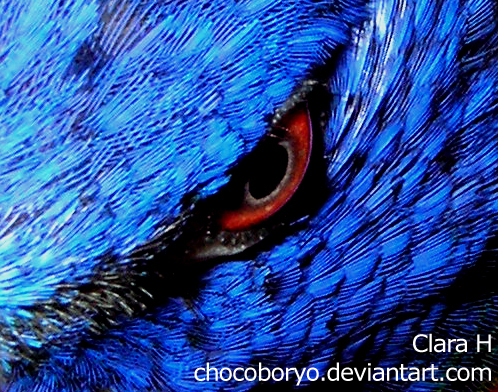 The abdomen is also violet-blue. The chest is mostly red with yellow markings. The wings are orange-red underneath with a broad yellow band. Immature birds are duller in colour with a dark brown-orange beak and iris. They have a specially adapted ‘bristle-tongue’ for eating pollen and nectar. Rainbow Lorikeets are abundant in the wild, found in all sorts of wooded and rainforest areas from the coast and inland. They are also found in urban areas provided there are plenty of trees. They live in noisy groups, from 10-20 birds to thousands. They gather in larger flocks to feed and roost. They nest in tree hollows, favouring eucalyptus trees. Rainbow Lorikeets breed mainly during spring from September to December but can breed throughout the year. Swainson’s Lorikeets are very active and entertaining as companion pets. Every object and noise will be investigated with great delight and often turned into a game. They are born clowns as they like to be silly and exaggerate their movements. 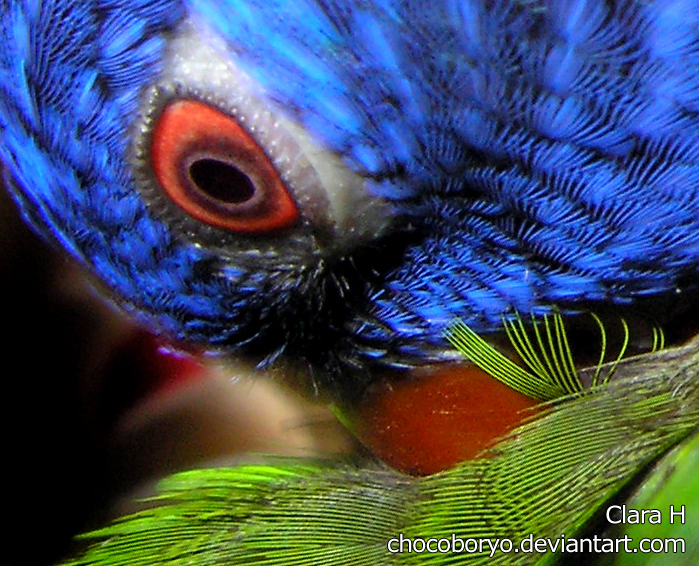 Lorikeets love to play and will often roll onto their backs to wrestle with your hands or play with a foot toy. A lorikeet may decide to hop instead of walk to get from A to B. As they are so active, Rainbows need to be provided with plenty of toys. They are particularly fond of things they can swing on, make noise with and foot toys. While they like to shred things and occasionally chew, they aren’t huge on chewing compared to many other parrot species. Rainbow Lorikeets need a large-sized cage as they are quite energetic and tend to use every corner of it. They also love water and enjoy a bath or shower nearly every day. They go to the toilet frequently, and tend to ‘squirt’ their liquidy droppings rather than simply ‘squat’. This increases the risk of feces landing on the walls and outside the cage. Many lorikeet owners prevent this by putting plastic barriers on the wall behind the cage or clipping a sheet to the back of the cage. However, being liquid droppings does make them easy to wipe and clean up. 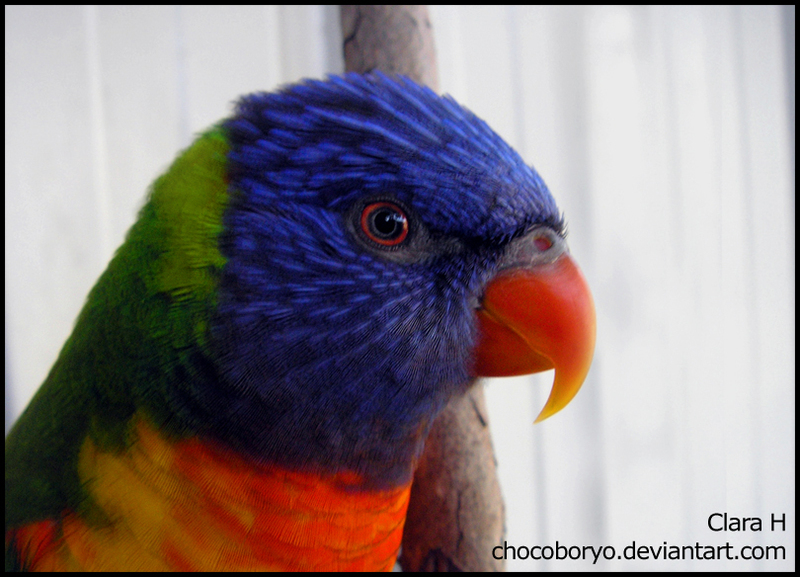 Rainbow Lorikeets are very aggressive towards other birds so keeping them in mixed aviaries is not recommended. Plus complications may arise when mixing lorikeets with other birds due to different dietary needs. Lorikeets can be kept in social groups together in a large aviary. Fighting and squabbling can still occur; therefore birdkeepers should monitor the birds regularly. Lories and lorikeets are specialised in eating nectar as their main food source. They also require more fruit compared to other parrots. In captivity a lorikeet’s base diet should be either wet or dry nectar mix (or both). Wet is often preferred over dry, however a high quality dry version can be provided and the lorikeet will mix it with water itself (therefore, the water should be placed close to the dry lorikeet food). Lorikeet food can either be bought commercially or there are a number of recipes for making it yourself, usually composed of baby cereal, rice flour, breadcrumbs, glucose powder, skim milk powder, semolina (wheat hearts), pollen mixture, etc. Lorikeets pellets are also available but are generally not recommended or accepted by the birds. As well as the base diet, Swainson’s Lorikeets should also be feed fruit and vegetables. Native Australian chemical-free flowers such as bottlebrushes are also appreciated. Be aware of foods high in iron as lorikeets are prone to health problems due to high levels of iron. A Rainbow Lorikeet’s lifespan is around 20-30 years. While wild Rainbow Lorikeets tend to prefer more horizontal or 45 degrees tree hollows, captive lorikeets are known to accept nest boxes of varied designs. The nest box often does well if positioned high in the aviary. Housing breeding lorikeets is best as a single pair per aviary because they can become quite quarrelsome during breeding season. The female lays two eggs. Incubation lasts for about 24 days, with the chicks fledging at 55-60 days old. 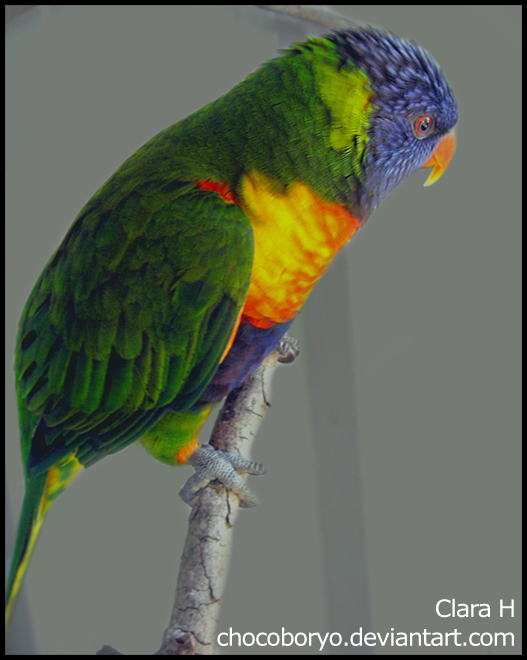 There are now a number of established mutations of the Rainbow Lorikeet. There are also numerous different combinations of these mutations, creating even more variety. A blue mutation was also found in a young wild lorikeet. Unfortunately the individual died from injuries due to a bird of prey attack.